This is an R.C. Spreadsheet Power Pack. 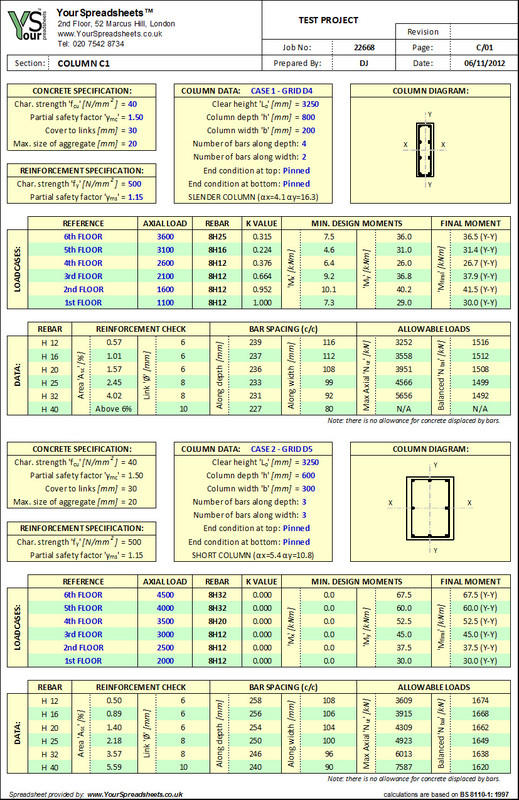 It contains five spreadsheets for designing R.C. elements like columns, beams and slabs. It also includes column chart generator. In essence this package covers all main elements in a reinforced concrete structure, making this a very powerful tool - hence the Power Pack name. 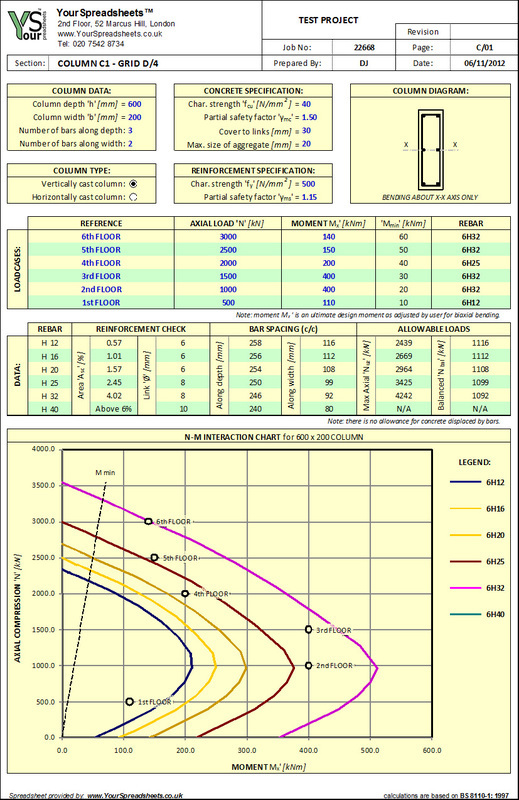 Gives column cross-section diagrams for easier appreciations. 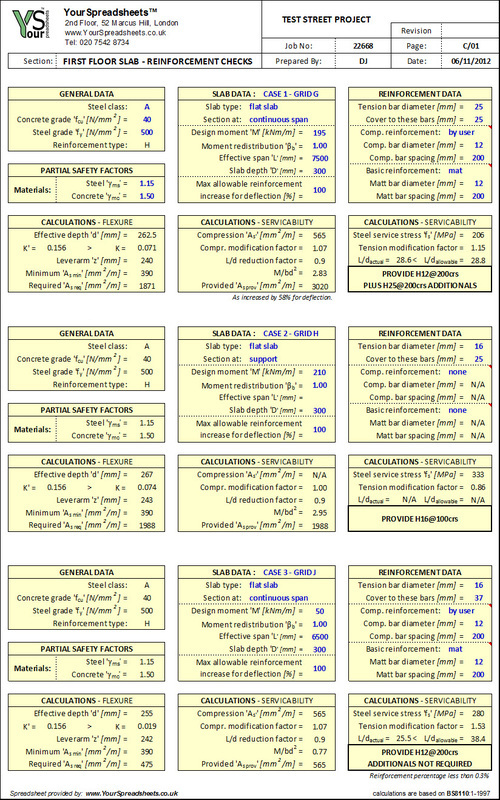 Calculations are based on user defined design compression load and moment. Calculations are based on user defined design moment. 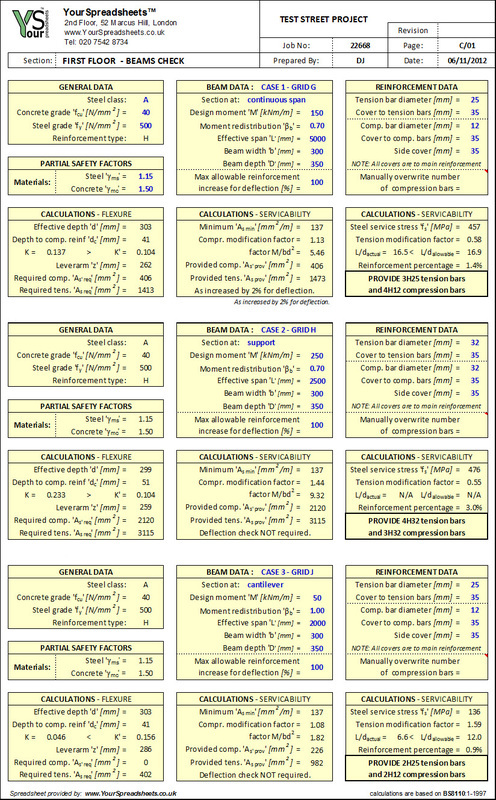 Checks deflection based on span to effective depth ratio. It is seldom that shear will govern slab design - therefore the spreadsheet first checks slab as with no shear reinforcement. 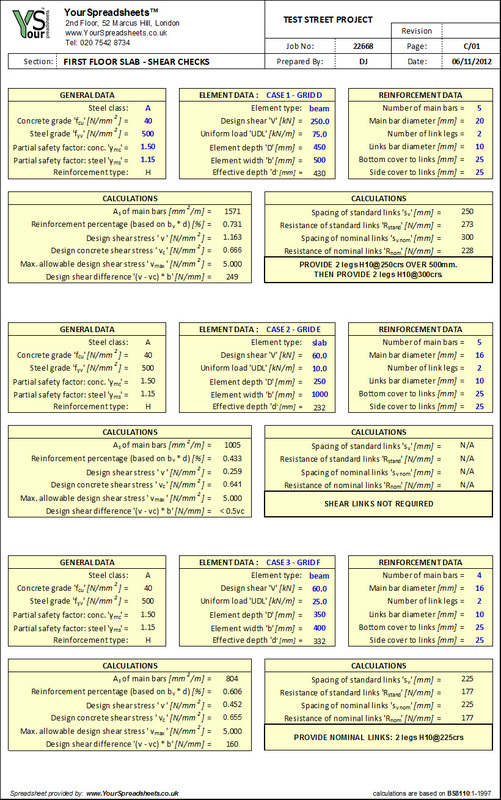 Calculations are based on user defined design shear. FREE Lite version: R.C. Element Design to BS (1.1). The restriction in this free lite version is that you cannot change the company name nor the logo (shown in top left corner) - currently set to a made up company. Also a few other cells were disabled. For details see relevant spreadsheet. FULL version: R.C. Element Design to BS (1.1). By purchasing this spreadsheet you agree to the disclaimer and terms & conditions. Two types of licenses are available for these spreadsheets. The single-user license is offered for a nominal price of £20 - a great product that you can have for a great value, especially because the package includes five spreadsheets.